When it comes to buying affordable furniture and home décor online, Overstock is likely on your list of trusted retailers. The site offers millions of products from stylish living room furniture and pet supplies to kitchen storage essentials and unique home décor (and everything in between). Although some might assume that Overstock is a site literally filled with "overstocked" goods, that's hardly the case. 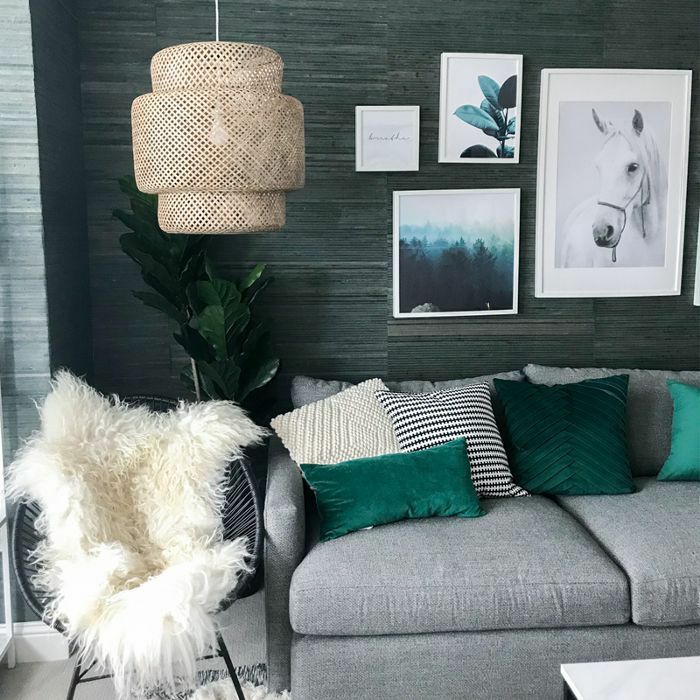 It's proved to be a serious destination for stylish home décor featuring the latest trends and offering helpful design advice. While many of the products already come at a reasonable price, there are more than a few tips and tricks to help you get the most out of the online retail experience. That's why we rounded up eight Overstock shopping secrets to help you save time and money while taking advantage of all the additional tools found on the website. Think annual sales, special rewards programs, shopping apps, and even alternative payment options. Ahead, find out everything you need to know for the best shopping experience at Overstock possible. Here are eight secrets you simply need to know. There are a couple of ways to earn money back just by shopping at Overstock. You can earn five percent rewards on every Overstock purchase you make by signing up for Club O, Overstock's loyalty program. You can snag a free trial right now before signing up for $20 a year. Once you're a member, you'll be eligible to earn up to 40 percent in extra rewards on certain items in the Club O Extra Rewards section of the site, so it's definitely worth the membership fee if you're an avid Overstock shopper. The program also includes free returns, free shipping, and additional rewards for reviewing products. Plus, your rewards never expire, so you can use them at your leisure. Thousands of products found at Overstock are exclusively available on the site, which means you really can't get them anywhere else. This includes each of Overstock's 17 private label brands like the mid-century modern Carson Carrington Home collections and the traditional Laurel Creek brand (just to name a few). While you may only associate Overstock with its furniture and home décor offerings, the online retailer also offers a wide variety of pet products—160,000 to be exact. They've also partnered with the Best Friends Animal Society, dedicating part of the side to dog adoptions. Yes, you can adopt a pet through Overstock. Not only does Overstock have a shoppable app, but it has also been ranked the best retail mobile app by the Appy Awards. It includes an augmented reality experience that features high-quality digital 3-D models, personalized product recommendations, and unique search functions. In other words, welcome to the future. There are a few times of the year when you can get in on major savings from Overstock. First, mark your calendar for Spring Black Friday. It takes place from April 2 to April 15 each year and features Black Friday prices to help you make seasonal upgrades and restock after spring cleaning. Next, celebrate Overstock Customer Day, one of the sites biggest sales, in October. To give you an idea of what it's like, last year the retailer had 1.5 million products on sale. That's the largest number of products Overstock has ever discounted. Finally, don't forget about the retailer's Semi-Annual Sales. There's two of them each year and they offer sales of up to 30 percent of items in every product category. Gone are the days when cash or credit were your only payment options. Overstock does accept these traditional forms of payment, but it also allows you to pay with the Overstock Store Credit Card, Paypal, progressive leasing, and even Bitcoin (welcome to the future). Overstock offers a variety of tools to help you decorate your home. In the Tips and Ideas section of the site, you'll find interior design inspiration for every room in your home. There are even helpful videos, holiday hacks, and guides to support your next home refresh. You can learn everything from how to buy bedsheets to how to organize your linen closet. Although the name may suggest that Overstock simply offers "overstocked" goods, the retailer is so much more than that. It offers stylish furniture, including the latest home trends all at an affordable price. From storage to décor, it has a wide variety of styles for you to choose from. Next Up: the 10 Amazon shopping secrets you should be using on a regular basis.